"Donghuang Taiyi," a mythical figure in a 2,300-year-old poem, was not even widely known by school teachers of Chinese literature but has recently become a common name among teenagers and youth in their 20s. The mystic ancient god along the Yangtze River in China's Warring States period has now taken on the image of a broad-shouldered tall man donning a large antler-like crown and wearing a wide-sleeve long robe, thanks to "Glory of the King," a multiplayer online game produced by China's internet giant Tencent. 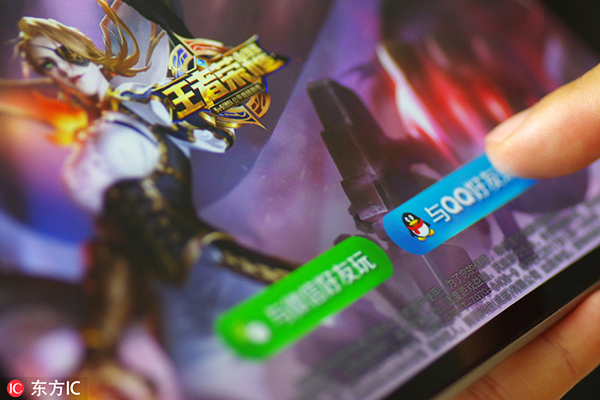 The game has accumulated over 200 million users both at home and abroad. "Glory of the King" is embedded with many traditional cultural elements. Players can choose game roles with mythical and historical figures as prototypes and in-game skills based on historical events, with sound effects such as chants of ancient Chinese poems. Li Xin, brand director of the game, attributed the popularity of the game partially to such elements. "Users are drawn closer to the game roles because the Chinese characters are more relevant to them," she said. 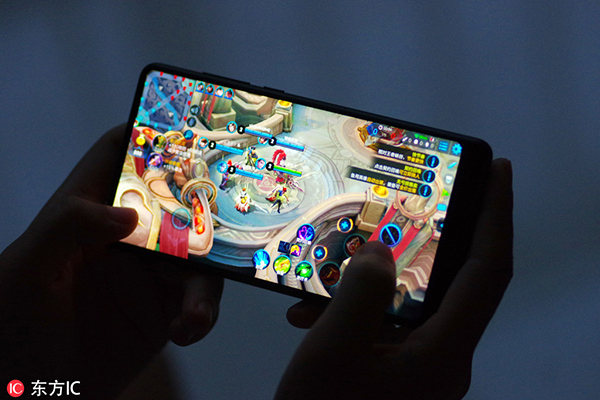 According to a survey conducted by the China Youth Daily in October, 86.6 percent of the respondents were fond of such games with traditional cultural elements, of which 23.7 percent said that "they like the games very much." "This game is not only entertainment. I also learn something new about traditional figures and historic events that I never heard of before," said Zhang Chenguang, an undergraduate from a Beijing-based university and a loyal fan of the game. Young people want to learn about traditional culture but have not had a flexible and accessible approach before, said Luo Shixian, PR director of Tencent's entertainment sector. "We need to use new media catering to the youth, such as online literature, animation, music and games, to develop traditional culture," said Luo. Zhang Baoyi, director of the sociology institute of Tianjin Academy of Social Sciences, said internet games can be an effective way of promoting Chinese traditional culture. According to the China Youth Daily's survey, 89.4 percent of respondents believed games with cultural elements could draw young people closer to traditional Chinese culture. One of the game roles in "Glory of the King" is based on Li Bai, one of China's most famous poets who lived in the Tang Dynasty (618-907). The game role "Li Bai" has special in-game lines cited from the poet's famed poems, which has rekindled the interest in the Tang poetry among young players. The game has also led to derivatives to promote traditional culture. A talk show produced by Tencent invites scholars to share with the audience the historical culture reflected in "Glory of the King," and has received about 300 million views online. "Traditional culture is the soul of our cultural industry, which in return pushes forward the inheritance and development of traditional culture," said Luo. In addition, "Arena of Valor," the foreign version of "Glory of the King," has been released in more than 85 countries and regions in 16 languages. More than 100 million users have registered abroad in the first half of 2018. The foreign version still adopts the Chinese style to game roles and skin designs and introduces Chinese history and literature to foreign players, according to You Fen, brand director of the game. "The gaming industry not only opens a new window for the public to learn Chinese traditional culture but also fosters a new channel of cultural exchange between China and other countries," said You.